It's that time of week again, that special time when we bring you some really cool games that are trying to scratch and claw their way onto the gaming market. Will they make it? Will they fail miserably? Only you can decide! So buckle up, and hold onto your hats, it's time for Kickstarter Weekly! We've received review copies of this one, and the initial impressions are pretty good right now. It's a game that kids can play well, but also one that adults won't dread pulling out... "Oh. You want to play Candy Land... Again." The rules have many layers to increase difficulty and strategy, and there's enough randomness to keep the replayability pretty high. This one looks like a pretty solid miniatures-based battle simulation. There are plenty of miniatures, and different soldier and troop classes, to use as you attempt to take out your opponent's king. The game looks pretty solid, but I wonder if the funding goal for this one is set a little too high, especially for someone unfamiliar to the Kickstarter community. This campaign is blowing up! 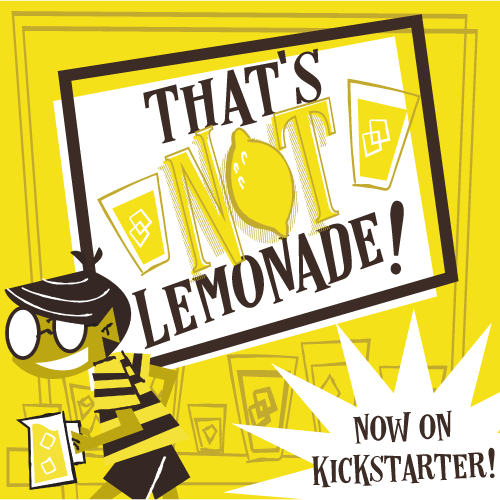 They've already hit over a $500K in funding and 12,000+ backers. Robot Turtles is a board game for 3-8 year olds that in some way teaches fundamentals of programming. Players play cards with movements on them to navigate their turtles on the board and to their goal. In the category of games your wife will be thrilled to play with you is this nifty looking strategy card game where players take on the role of characters in Jane Austen's "Pride and Prejudice" trying to land a marriage proposal from the most eligible of bachelors, Mr. Darcy. The campaign has already hit its funding goal, but there aren't many stretch goals that look terribly intriguing, other than helping get the game out to more folks. Well that's it for another KS Weekly; we'd love to know if you're backing any of these projects, or maybe some others that we may have missed! And we'd love to interact with you on the webs, Facebook, Twitter, Instagram, and YouTube, and of course our brand new Podcast!